Sholay In 3D is screening in Birmingham in March! 2018.The largest 3D screening in the UK showcasing the restoration of one of Indian cinema’s most iconic films, Sholay, in Birmingham this March! Following on from the conversion of this worldwide blockbuster into the digital 3D format, this will be the first time Sholay in 3D will be screened in the UK on such a wide-reaching scale, targeting a new generation of filmgoers and Bollywood film fans. Supported by the BFI Audience Fund, using money from the National Lottery, to connect audiences across the UK with the best of world cinema, the event will see the venue transformed to create an immersive treat that captures the essence of Bollywood through live music, dance, food and entertainment. Bollywood Fever says: “We are excited to bring Bollywood Fever to Birmingham for the first time and literally ‘take-over’ the ICC’s two largest spaces, making this an immersive experience for every fan of Indian cinema to enjoy. 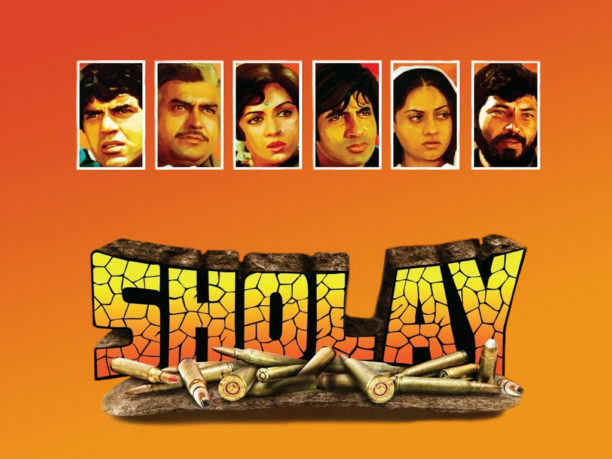 This will be the first time Sholay in 3D will be screened in Birmingham, targeting generations that have not seen the magic of Sholay in theatres, those who have seen the film countless times, as well as world cinema aficionado’s. Bollywood Fever, sponsored by Cellar Door, are proud to partner with the BFI and Lyca Radio to bring Sholay in 3D to UK audiences. Bollywood Fever is also delighted to have Lyca Radio on board as a Media Partner and RealD as an official supplier.